Attending the “Outlaws & Armadillos: Country’s Roaring ’70s” exhibit May 24-27, 2018 at the Country Music Hall of Fame in Nashville proved to be the highlight of my whirlwind year as the first-time author of a book written about one of the greatest honky-tonks in Texas history. 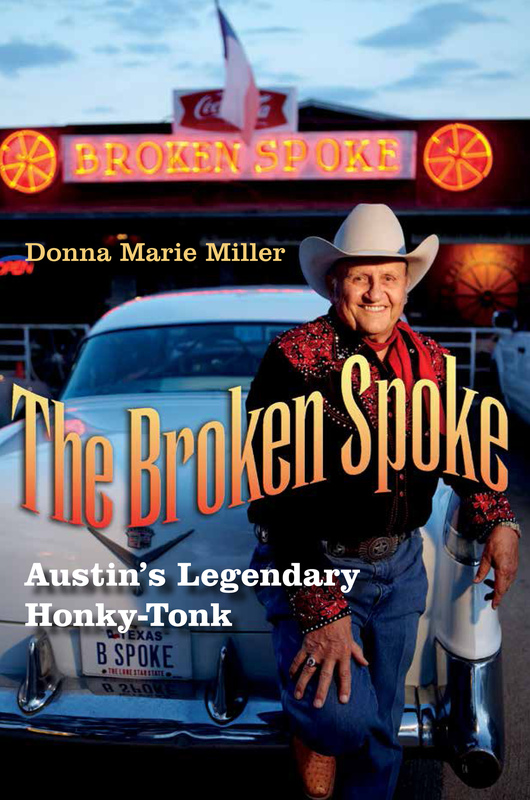 My book, The Broken Spoke: Austin’s Legendary Honky-Tonk, published in 2017 by Texas A&M University Press, will be a part of the exhibit for the next three years! The concert in the CMA theater at the Country Music Hall of Fame May 25th included several stars: Shooter Jennings, Jessi Colter, Bobby Bare, Joe Ely, Michael Martin Murphey, Gary P. Nunn, Delbert McClinton, Kimmie Rhodes, Billy Joe Shaver, Ray Wylie Hubbard, Tanya Tucker, Jack Ingram, Jason Boland, Jason Isbell, Amanda Shires, Jamey Johnson, and Gary P. Nunn. It definitely tops the list of my all-time favorite concerts.